Please visit the Claims page for claims details and claim form download. Investment involves risk. Each of the investment options is subject to market and exchange rate fluctuations and to the risks inherent in all investments. The prices of units of any investment option and the income from them may go down as well as up. Past performance is for information only and is not indicative of future performance. Please refer to the offering documents for the relevant products for further details and charges. AXA China Region Investment Services Limited (“AXA CRIS”) referred to in this Disclaimer and on the Website as the "Company". "Website" means the website of AXA CRIS. This website is not directed to any person in any jurisdiction where (by reason of that person’s nationality, residence or otherwise) the publication or availability of this website is prohibited. Persons in respect of whom such prohibitions apply must not access this website. It is your responsibility to be aware of and to observe all applicable laws and regulations of any relevant jurisdiction. By accessing this website, you are representing and warranting that the applicable laws and regulations of your jurisdiction allow you to access the website, and that you have agreed to the conditions below. The website is issued by AXA CRIS and has not been reviewed by the Securities and Futures Commission. You are advised to exercise caution and if you are in any doubt about any of the contents of the website, you should obtain independent financial and professional advice. Investment involves risk. Investors should note that the prices of investments can and do fluctuate, and any individual security may experience upward or downward movements, and may even become valueless. There is an inherent risk that losses may be incurred rather than profits made as a result of purchasing and selling the investments. Investors should read the relevant funds’ offering documents (including the full text of the risk factors stated therein) in detail before making any investment decision. Investments involve risks. Before making any investment decision to invest in the fund, investors should read the relevant offering documents and in particular the investment policies and the risk factors. Investors should ensure they fully understand the risks associated with the fund and should also consider their own investment objective and risk tolerance level. Investors are reminded that they are responsible for their investment decisions and whether buying the fund would be consistent with their investment objectives. AXA CRIS prohibits licensed representatives from soliciting a client to invest in any specific fund or recommending any specific allocation to any fund or otherwise providing formal investment advice to the clients. If in doubt, please seek independent financial and professional advice. The Company does not warrant the accuracy, adequacy or completeness of the information and materials contained on this website which is sourced from third parties, and expressly disclaims liability for errors or omissions in the same. The Company does not warrant, guarantee or represent, either expressly or impliedly, the accuracy, fairness or completeness of the information/documents contained in this website on AXA Wealth Accelerator, which is subject to change without notice. Loss or damage of any kind, including direct, indirect or consequential damages, which may be incurred through the use of or access to this website, or any links to third-party websites provided by hyperlinks on this website, is expressly disclaimed. In addition, loss or damage of any kind relating to or arising from any tampering with the user's computer system by unauthorized parties and from any computer virus, is expressly disclaimed. 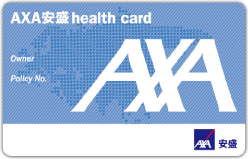 No warranty or undertaking is given by AXA China Region Investment Services Limited (the “Company”) as to the performance or profitability of any investments. This website contains general information and documents only. It is not an agreement. For detailed terms, conditions and charges, please refer to the Terms of Business. While your financial consultant may provide you with factual information as stated in publications authorised by the Company, you should make your decision (including but not limited to fund allocation) based on your own judgement and personal circumstances. Please seek independent professional advice if you have any questions regarding this product. The information and materials contained in this website are provided "As is", "As Available", strictly for information purposes only and should not be considered an offer, or solicitation to deal by the Company. Information/documents provided is for reference only; and should not be construed or relied upon as investment advice. Any person considering an investment should seek independent advice on the suitability or otherwise of the particular investment and must make his/her own assessment of the relevance, accuracy and adequacy of the information/documents contained in this website of AXA Wealth Accelerator and make such independent investigations as he/she may consider necessary or appropriate for the purpose of such assessment. By clicking “Accept” and proceeding to access this website and the information contained herein, users are deemed to be representing and warranting that they are either Hong Kong residents or are observing the applicable laws and regulations of their relevant jurisdictions and agree to be bound by Disclaimer.